Explores the concept inherent in all human beings to maintain internal stability and metabolic efficiency despite the tendency to entropy. Viewers of this film are taken on an unforgettable journey through the complex systems that help us maintain the delicate balance of optimal health in the face of the relentless factors that strive to kill us. 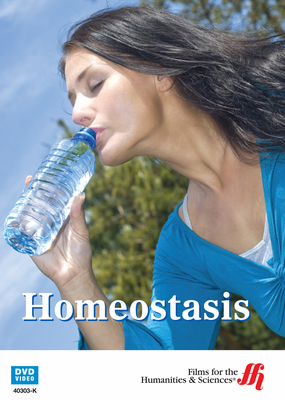 Homeostasis (Enhanced DVD) takes viewers on a fascinating journey through the process that strives to maintain internal stability and metabolic efficiency in our bodies despite the natural tendency to entropy. This film is a look at how the body's natural homeostatic systems work to preserve a level of equalibrium in chemical and physiological systems, along with all of the challenges that both our bodies and environment present. Online resources are available for supplementation.